On March 2, 2016, the Office of Special Education Programs (OSEP), U.S. Department of Education, issued a Notice of Proposed Rulemaking (NPRM) to amend current IDEA regulations related to significant disproportionality based on race and ethnicity. OSEP says the purposes of the proposed changes are to ensure States are appropriately identifying where significant disproportionality exists and, where found, to help States and local school districts address the problem. Provide a standard methodology States must use to determine if significant disproportionality exists in the State and its local school districts. Current regulations do not define “significant disproportionality,” and States have discretion to determine what constitutes significant disproportionality based on race and ethnicity. The only parameter is the State’s definition must be based on an analysis of numerical data and not on policies and practices. Provide certain flexibility to States when they consider whether significant disproportionality exists. States would determine a risk ratio threshold, which when exceeded would point to disproportionality. States would have the flexibility to not identify a school district until that district exceeds the threshold for up to three consecutive years. The State could also decide not to identify a district if it is making reasonable progress in lowering the risk ratio, even if the threshold is exceeded. Clarify that statutory remedies apply to disciplinary removals. One factor examined in determining significant disproportionality is placement. The proposed rules address the fact that IDEA discipline regulations may trigger a change in placement. In fact, OSEP has previously issued guidance stating disciplinary removals trigger the required remedies. Therefore, this proposed rule would codify what is a longstanding OSEP interpretation of the law. Clarify that review of policies, procedures, and practices must be conducted every year in which a school district is identified with significant disproportionality. Currently the review only needs to be done when the initial finding is made. The proposed rule also states that districts must comply with the confidentiality provisions of the Family Educational Rights and Privacy Act (FERPA) when reporting on any changes in those policies and procedures. Define which student populations may receive comprehensive early intervening services (EIS) when a district is identified with significant disproportionality. 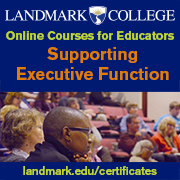 The current early intervening provision of the IDEA provides that 15 percent of a district’s IDEA funds may be used for early intervening services for K-12 students not currently identified as needing special education and related services but needing additional academic and behavioral supports to succeed in general education. With a determination of significant disproportionality, the district is required to use EIS funds to address the problem, with a particular emphasis on students in the affected population. The proposed rule would expand the use of these funds to preschoolers (ages 3-5) and to students with and without disabilities, as long as funds are not used exclusively for students with disabilities. As part of implementing comprehensive EIS, the district would be required to identify and address the factors contributing to significant disproportionality. The public is invited to comment on these proposed regulations. Comments are due on or before May 16, 2016. The LDA Public Policy Committee, in consultation with other relevant committees, currently is considering its response to the proposed changes. To read the background information and the specific regulatory language proposals, go to https://www.gpo.gov/fdsys/pkg/FR-2016-03-02/pdf/2016-03938.pdf. The newest version of the Elementary and Secondary Education Act (ESEA), known as the Every Student Succeeds Act (ESSA), was signed into law in December. The law will go into effect fully in the 2017-18 school year. Before States and local school districts are able to implement ESSA, further clarification on certain provisions is necessary. To that end, the U.S. Department of Education, charged with overseeing the law’s implementation, has begun the process of determining what regulations are necessary to provide that clarity. The general process of issuing regulations follows a simple pattern. The Department of Education drafts proposed regulations, providing ample time for public comment through a Notice of Proposed Rulemaking (NPRM) in the Federal Register. The Department analyzes the comments and finalizes the regulations. The Office of Management and Budget (OMB) then examines the rules, looking at costs, benefits, and impact on the affected populations. The Department has chosen to begin the regulatory process with a procedure that has generally been reserved for higher education legislation. This process – negotiated rulemaking – brings together a variety of stakeholders and experts whose constituencies are affected by the particular parts of the law to be negotiated. A neutral third party facilitates the negotiations. Once the negotiators reach agreement on proposed rules, an NPRM goes out for public comment. Assessments. 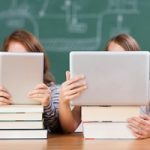 Specific attention will be given to ESSA provisions on locally selected nationally recognized high school assessments; the exception for advanced mathematics assessments in eighth grade; inclusion of students with disabilities in academic assessments, including alternate assessments; inclusion of English learners in academic and language proficiency assessments; and, computer-adaptive assessments. Title I funds used to supplement, not supplant, non-federal dollars. Negotiators will examine the methodology used by local school districts to allocate State and local funds to Title I schools to ensure compliance with the supplement/not supplant requirement, as well as the timeline for compliance. The negotiators are scheduled to meet March 21-23 and April 6-7, with additional meetings scheduled as necessary April 18-19. LDA will monitor and report on these meetings. For a listing of the negotiators and to view questions they will discuss, as well as other information on the transition to ESSA, go to http://www2.ed.gov/policy/elsec/leg/essa/index.html. Congress has one main task facing members of Congress before members leave Washington in mid-July to focus on the political conventions and upcoming elections. That task is to pass appropriations bills to fund all federal government activities. Kicking off the process, the president released his proposed budget in February for Fiscal Year (FY) 2017 (school year 2017-18), which begins on October 1, 2016. The next step is for Congress to pass a Budget Resolution outlining its budget priorities for FY 2017, including the amount that will be allocated among the federal agencies. Last fall Congress agreed to a bipartisan budget deal that established the budget caps for FY 2016 and FY 2017. Therefore, the two chambers do not have to deal with the specific amount available to the appropriators to fund federal programs. That said, the 2016 budget deal did not eliminate sequestration cuts established in the 2011 Budget Control Act, which cut non-discretionary funding each year through FY 2021. Unless Congress acts again to craft a short- or long-term deal at the end of FY 2017, sequestration will cause continued reductions in critical federal programs, including education, health, and social services. The House Budget Committee has just released its FY 2017 Budget Resolution, “A Balanced Budget for a Stronger America.” The proposal cuts spending by $6.5 trillion over ten years, including a cut of $877 billion or 18.6 percent over that period for non-defense discretionary (NDD) spending. NDD includes every function of the federal government except defense and national security and mandatory programs such as Medicare, Medicaid, Social Security and some parts of student financial aid. For specifics on the House Budget Committee’s proposal, see http://budget.house.gov/fy2017/. The House proposal maintains the FY 2017 spending cap set by the 2016 deal. However, in FY 2018 NDD would be cut by 8.5 percent from $516 billion to $472 billion. The budget for NDD would then remain frozen at that level for the following nine years. The House Freedom Caucus, a group of very conservative Republicans, opposes this budget. They believe the proposed cuts are not deep enough. On the other side of the aisle, it is unlikely any Democrats would vote for a budget that could have serious effects on human services. The Senate has not announced a schedule to release its Budget Resolution. The Republican majority is much slimmer in the Senate, and some of those members support the deep cuts proposed in the House. Therefore, without Democratic support, it is more difficult for the Senate Budget Committee to pass a bill. As the budget process continues, the House and Senate Appropriations Subcommittees have already begun hearings to determine how to allocate the funds they will receive through the budget process. That is the next big hurdle. 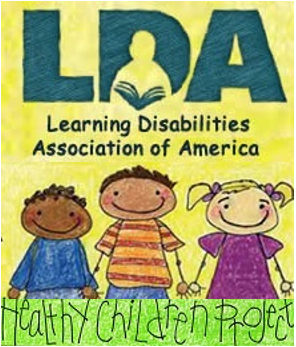 LDA’s priority programs are mostly funded through the Labor-Health and Human Services-Education Appropriations Subcommittee. LDA is now working with its partners to push for the highest possible allocation for this subcommittee, so important programs can be adequately funded. LDA is your eyes and ears in Washington. We will keep you informed through every step of the process. 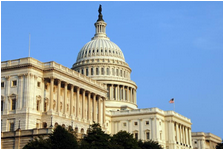 Stay tuned to LDA Legislative News! Changes in Perkins are a direct result of different expectations in the work world, where employees need skills such as critical thinking, problem solving, creativity, and collaboration. The perception of Career and Technical Education (CTE) has also changed. Now a large percentage of high school students take at least one CTE course and often more. According to the Department of Education, the average high school graduation rate for students in CTE programs is 90.18 percent as compared to a national adjusted cohort graduation rate of 74.9 percent. The Administration has four major priorities in reauthorizing Perkins. They would like to see better alignment with the labor market and stronger collaboration among secondary and postsecondary schools, employers, and industry partners. Another priority focuses on ensuring meaningful accountability resulting in better academic and employment outcomes for students. Finally, the Administration supports local and State innovation in CTE, especially development and replication of innovative CTE models. Specifically connected to the idea of innovative CTE, Secretary King has announced the CTE Makeover Challenge, a competition providing $200,000 divided equally among 10 awardees. The award winners are tasked with transforming classrooms or available space in high schools into areas where students have access to tools to design, build, and innovate. These special areas are dubbed “makerspaces.” This concept grew out of the Administration’s Nation of Makers initiative that calls for a significant increase in students, entrepreneurs, and average citizens who have access to new technologies that allow them to create and build just about anything. In addition to the Challenge, the White House will begin to recognize outstanding CTE students later this year through the CTE Presidential Scholars program. Twenty students will be chosen based on outstanding academic performance and demonstrated ability in CTE. Again, this change in focus to strong academics promotes the idea that CTE is the training ground for students entering the workforce and strengthening our economy and improving America’s global competitiveness. LDA participates in a broad national coalition of organizations that brings together school personnel and business and industry to support strong CTE programs. 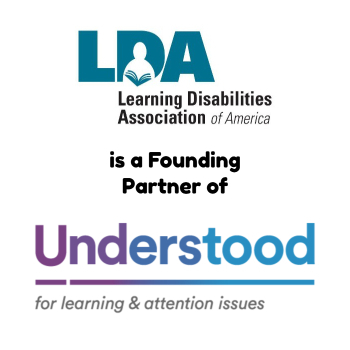 As the reauthorization moves forward, LDA will work to ensure language is retained and enhanced to support students with specific learning disabilities – included as “special populations” in CTE programs.